The first day of spring, and the flowers are busting out of the desert hillsides, starting with the yellow bells. The kestrels are mating. The Ravens are building nests. The creeks tumbling down from the Owyhees are overflowing banks and driveways. Even the buffalo gnats have already made an unwelcomed appearance. The horses are starting to shed, sharing their hairy layers with your fleece jackets. 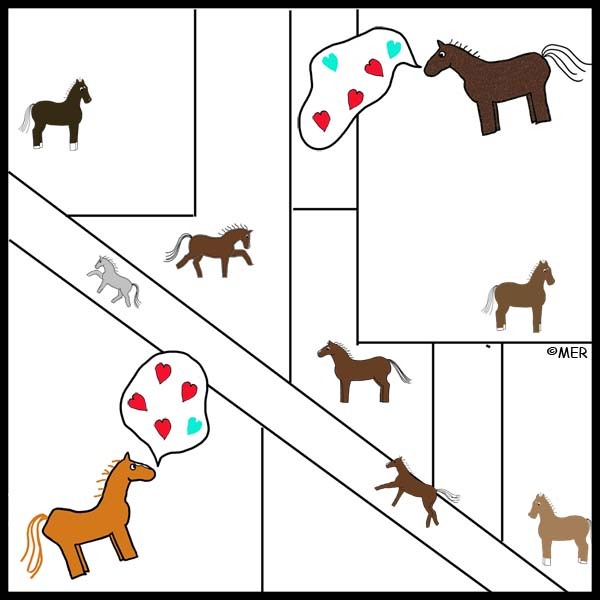 And horses are in love. Young endurance mare Smokey (who is fixed, by the way), stands in the corner of our pasture, not caring about her herd-mates (who are unimpressed, saying, "Not this again,"), not caring about anything but her beloved Paco on the far side of the neighbor's pasture. She stands alone and moons and whinnies and hollers for The Most Beautiful Horse in the World. 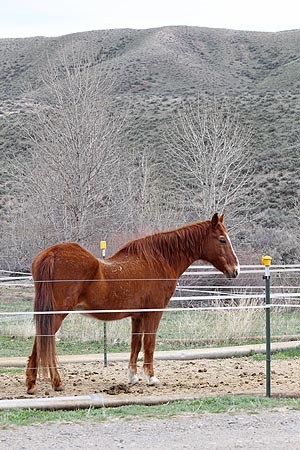 Stately, mature, older, sway-backed Paco, The Most Beautiful Horse in the World, stands alone in his pasture (ignoring his gray-haired old lady companion), and, unable to eat or drink or do anything but be in love, he moons and whinnies and cries and bellers like a fraught schoolboy to his beloved Smokey. 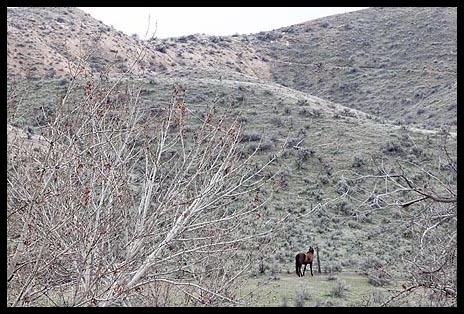 All is right with the world when love is in the air once again in a new Owyhee spring. Owyhee Miracle: He is Risen!